This finding suggests that 107 million U.S. adults used a voice assistant of some kind in 2017. It reinforces a critical point that voice assistant reach is not limited to smart speakers. It extends at least to smartphones. The key difference is frequency of use. Verto Analytics found in 2017 that voice assistant use on smartphones was about 10 times per month or 0.33 times per day. The Voicebot Smart Speaker Consumer Adoption Report found that smart speaker owners used voice assistants on the devices 2.79 times per day. This is logical as smart speakers require voice assistant use to access any of their features. On smartphones, voice assistants are optional. You can access the same features using using touch. 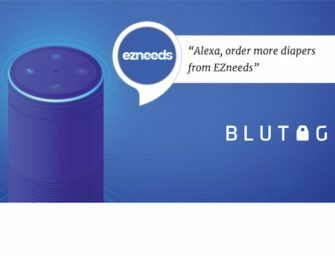 Over time, the convenience of voice and the ability to access features that are only accessible though voice assistants will begin to form new consumer habits for smartphone users. Siri was the first voice assistant on mobile and it is still reaping the benefit of that early mover advantage. Despite the fact that Siri is viewed as less capable than other voice assistants, its long-time presence on iPhone has helped it develop familiarity among users. Google Assistant made it onto 400 million Android devices in 2017, but the company still needs to educate users on its availability and capabilities. Surprisingly, Amazon Alexa was identified by 10% of smartphone voice assistant users. This is despite the fact that it was only available in 2017 through the Amazon.com shopping app on mobile devices. Amazon’s biggest challenge is the same as that faced by Microsoft for Cortana. Neither has automatic distribution on smartphones nor do they have lower level OS access like Siri and Google Assistant. All voice assistants are likely to increase users over the next year as awareness rises. However, another likely outcome is that Google Assistant will grow its market share quickly due to its default presence on new Android-based smartphones.